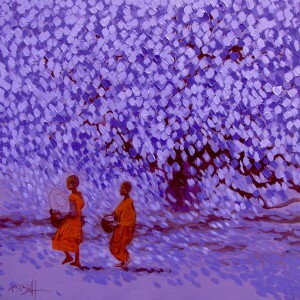 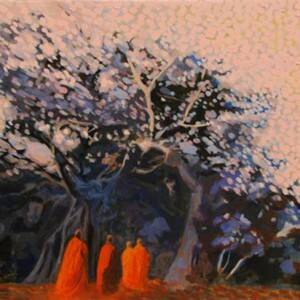 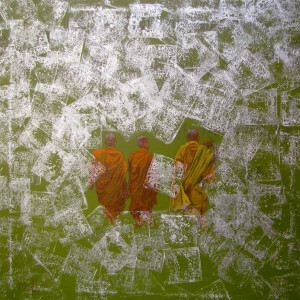 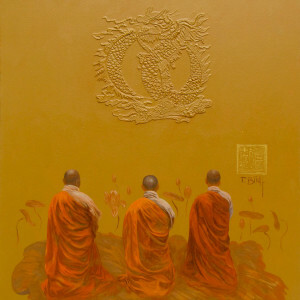 Vu Thai Binh was inspired by traditional Asian art rich in symbolism and intensive coloring while making this painting. 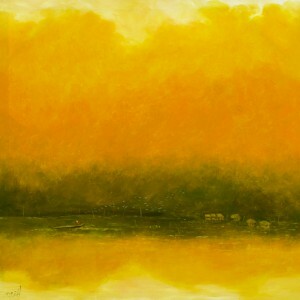 The image is noticeable for the expressive gradations of golden and saffron shades. 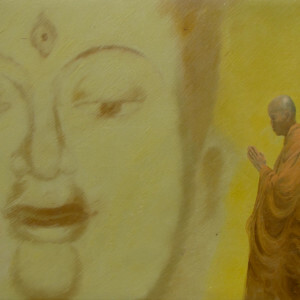 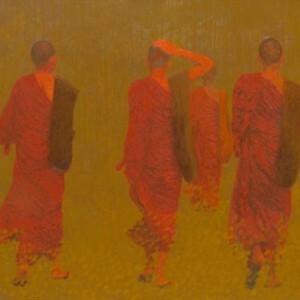 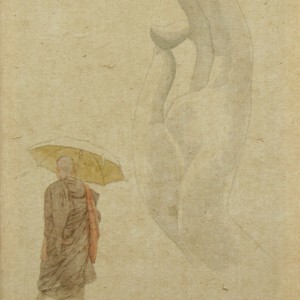 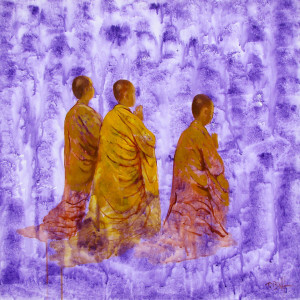 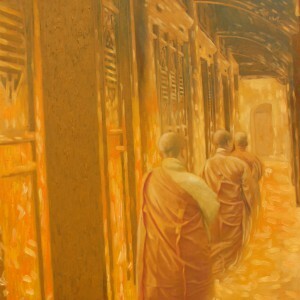 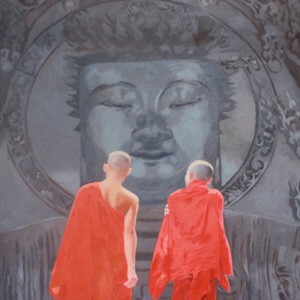 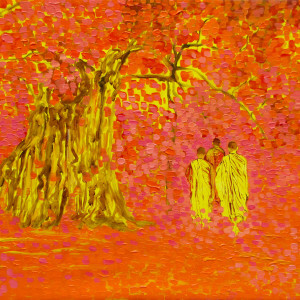 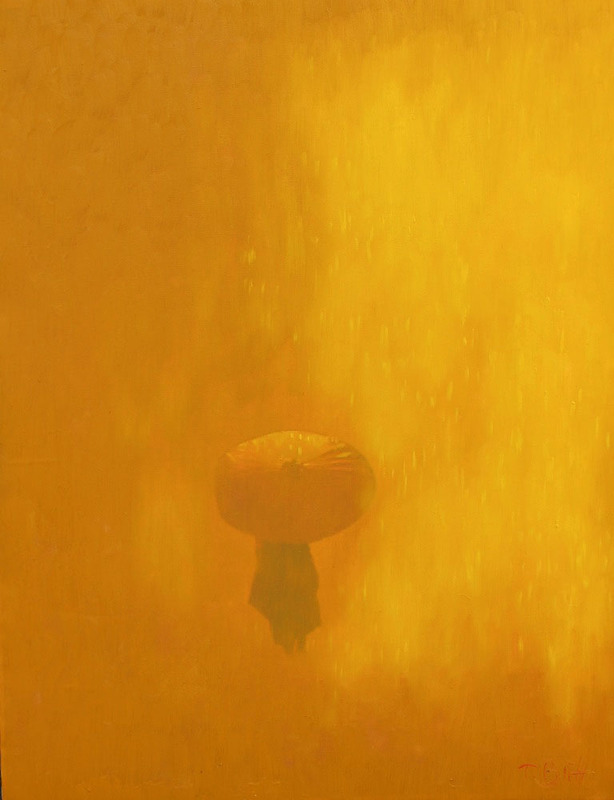 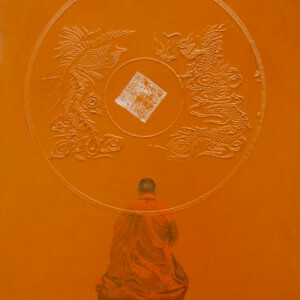 The painting’s surface is so vibrant that the small figure of a Buddhist monk visually fuses with it. 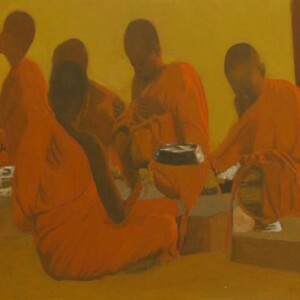 A highly evocative piece!